Won't be seeing this lovely lady for months now. 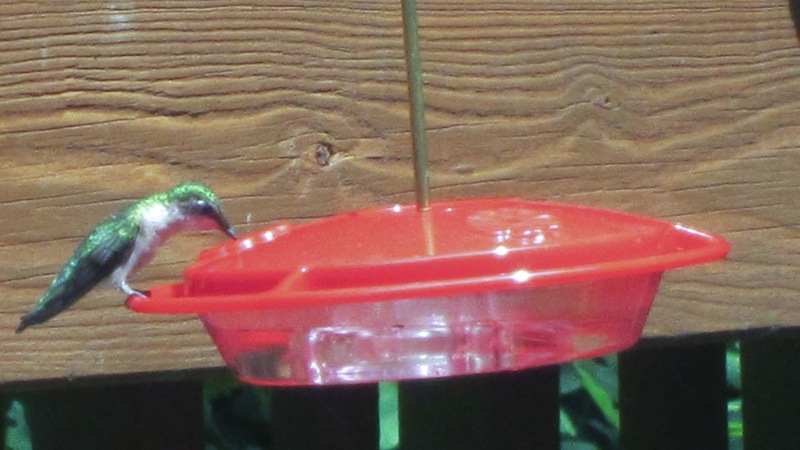 I think I saw my last female hummingbird for the season last Friday. I have been checking several times a day since, but with no luck. It's always sad to think that I won't see the flying jewels for several months. The next time they come to my feeder -- if they choose to do so -- won't be until mid May of next year. A logn time to wait for a visit. Lots to happen between now and then that will keep me busy but still, I will miss them. 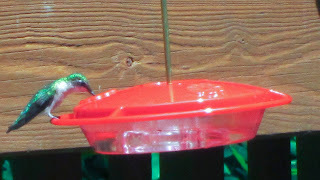 I plan to keep the feeder full until the middle of next month in case some other hummers will stop by on their way south for the winter. It would be nice to see them, even briefly.